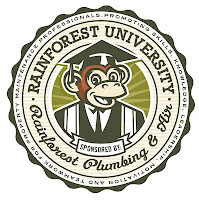 In 1978, a groundbreaking new discovery was made in the plumbing industry. A form of plastic resin known as polybutylene was used to manufacture water supply pipes. Because of the ease of installation and low cost of manufacturing that it afforded, polybutylene became known as the “pipe of the future”. It was installed in many properties and establishments across the United States. But by 1995, use of the pipe had been almost completely discontinued. It was a massive failure. What’s the matter with polybutylene? So what, after all, is wrong with polybutylene, this “pipe of the future”? The culprit is the water that the pipes were designed to carry. All public water supplies contain oxidants such as chlorine and fluoride, which are used to purify the water. This is the water that comes in through the tap and is usually potable (drinkable). However, these oxidants apparently react with the polybutylene pipe and fittings. This causes them to scale and become brittle- processes that weaken the structure and cause micro-fractures. When breakage occurs, a loud bang is heard, followed by a soggy spot in the floor, ceiling, or walls and by that point, extensive damage will have already been done. Do you have polybutylene in your home? Doesn’t sound like something you want to go through, does it? Another question, then: is your system a poly system? Although widely discontinued in the mid 90’s, some builders continued to use polybutylene. If your property was built anytime between the mid 70’s to 2000, it would be a good idea to check. Polybutylene is usually blue (although you may have grey or black as well) and was manufactured in 1/2 “ and 1” sizes. Outside, the pipes are usually found entering the building through a wall that leads to a basement or running through the water meter. These pipes were sometimes fitted with copper fittings so make sure that you check the pipe itself to make sure. Inside the building, polybutylene is found near the water heater and coming out of the wall to feed sinks and toilets. Besides the fact that a polybutylene failure will cause massive water damage, it will also keep sharp-minded buyers away from an establishment. In most cases, properties with a polybutylene system take longer to sell and sell for less than those with a traditional copper or PVC system. With polybutylene, it really isn’t a question of whether or not it will fail. Polybutylene has been proven to fail no matter what; it is only a question of when. That being said, however, there are a lot of myths and misconceptions about the procedure and even the necessity of a repipe. For example, many believe that failures in the system are only the result of poor manufacturing. Although that can always be a contributing factor, the polybutylene pipe is defective no matter how poorly it may have been installed. Another myth is that polybutylene systems with copper fittings will not fail. True, a system without copper fittings deteriorates faster than one that does- but this does not make the copper fitting system impermeable. It will eventually crack, one way or the other. Fortunately, there is a solution: a polybutylene repipe. With a repipe, the existing defective system is replaced with copper, PVC, or Aquapex pipe. This can usually be done in a matter of a few days depending on the size and complexity of the property’s potable supply, with minimum shutoff time. It is unfortunate that the system must be replaced, but it can be viewed as being similar to replacing the carpet or roof shingles and the cost and labor involved are almost the same. In late 1995, a class action lawsuit, Cox vs. Shell Oil, was settled and $1 billion were paid to a compensation fund for those who had to replace their systems. As of 2006, this has apparently been paid out in full, thus rendering additional coverage unavailable. Polybutylene systems WILL fail, no matter what. Due to the presence of oxidants in any potable water supply, the walls of a polybutylene pipe will deteriorate over time and eventually break. Repipe is the only viable solution to the poly problem. Regular maintenance alone only prolongs the inevitable. Thanks for reading! Leave any questions or comments in the comment box below. Thanks a lot for sharing excellent post about dealing with broken polybutylene pipes in home. The tips you have given are very useful. Thank you. I really congratulate the writer for creating such an impressive blog regarding the home maintenance.